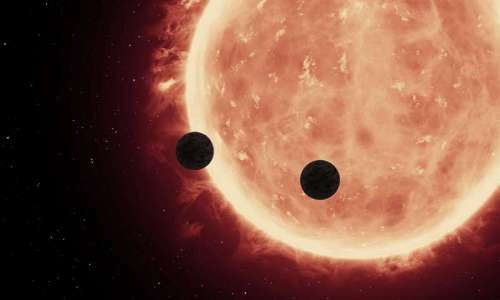 On May 4, the team commandeered NASA’s Hubble Space Telescope and pointed it at the system’s star, TRAPPIST-1, to catch a rare event: a double transit, the moment when two planets almost simultaneously pass in front of their star. The researchers realized the planets would transit just two weeks before the event, thanks to refined estimates of the planets’ orbital configuration, made by NASA’s Spitzer Space Telescope, which had already started to observe the TRAPPIST-1 system. “Each telescope is about $400,000—about the price of an apartment in Cambridge,” de Wit says.